A natural gas leak comes with an assortment of potential hazards, as these gases can not only cause potential fires, but can also be harmful to your health. However, should you experience a gas leak within your home, it's not a sign for you to pack your things and leave. Since natural gas has natural components, it's not necessarily extremely dangerous. What's important is to understand how gas leaks work and what to do when we have one in our homes. Natural gas in its rawest form is an odorless and colorless gas that was formed over millions of years. It occurs by compressing decomposing materials, similar to how fossil fuels are made. We as consumers get to access these gases through pipelines that purify the gas. ● We mostly use natural gas in containers such as a gas stove. When we use one, there's about 5 to 15 parts per million of these gases in our houses. However, it gets dangerous when 30 parts per million is present at home. ● Natural gas is a widely-used source of energy because not only is it a generally clean and safe fossil fuel, it's also very combustible. This means it can generate a lot of heat even when you use small amounts of it. ● Unfortunately, this also means a natural gas leak can heighten the risks of explosion and fire in any area because it combusts much easier and spreads quicker. ● This means even the slightest electrical spark or even a small fire can set it off when there's natural gas in the house. Luckily, experts have actually made a natural gas leak easier to detect. In fact, the rotten egg smell of sulfur that comes with natural gas isn't a natural part of the compound. In reality, experts and suppliers add this noxious scent for us to be able to indicate that there's a natural gas leak somewhere in the vicinity. ● You can also purchase a natural gas or a carbon monoxide detector that can sound a special alarm when these gases reach a hazardous level. When you realize that you have a gas leak in your home, it's best to stop whatever it is you're doing and remember to switch off any form of device that is powered by electricity. ● This means you turn off any electrical switch, unplug everything that is powered by electricity, and don't use any form of electrical gadgets inside your home. ● The next thing to do is to go outside the house and try to seek help. Going outside is an efficient cause of action because not only are you in a safe distance, you can seek help from neighbors or nearby authorities right away. ● It's also preferable that you go outside as soon as you sense a gas leak because the inhalation of high concentrations of natural gas can cause asphyxia, or oxygen deprivation. ● If you start experiencing fatigue or even chest pain, it's best to go outside immediately. Extra: What If It's Outside the House? However, natural gas is also just as dangerous when found outdoors. If for instance you're digging in your yard, there are chances that there's a broken pipe for natural gas somewhere that is broken due to age. ● You can find these through bubbling water or hissing sounds at home. Be careful not to strike a pipe as it can potentially disrupt the flow of natural gas in other homes, and striking it can cause an explosion. ● It's best for you to contact experts or any form of Underground Service Alert networks in your area or state so they can come and map any form of danger in the area around you. A gas leak can indicate many things about your home, and learning about it and what to do is the best first step to avert disaster. Perhaps of all the tips above, the most important thing to do is to not panic and assess the situation carefully. Our tips above can be extremely helpful especially if you can't call for help right away. Remember, however, that these aren't permanent solutions when you have a gas leak within your home. It's still best to call a professional to make sure the gas leak is remedied without further damaging your home. 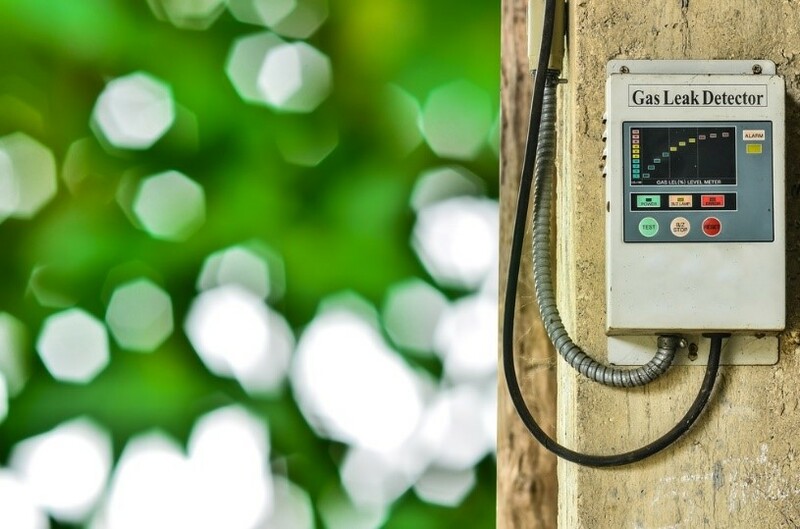 Did you know apart from natural gas, there’s actually other gasses such as Radon which Radonova can test for that can be problematic to your home and family? Jacob Douglas used to be a gas fitter before he started to become fascinated about Radon gas. Today he works with Radonova writing about the effects that Radon gas has on families and homes. When he’s not bringing awareness to Radon he’s spending quality time with family.